Allison Towbes rehearses a scene from the upcoming production of “R&J.” Towbes stars as Juliet in the gender-bent production adapted from the Shakespearean classic. WAVE Productions’ “R&J” will seek to provide a new take on a traditionally heteronormative text when the new adaptation of “Romeo and Juliet” arrives at Shanley Pavilion on Thursday. 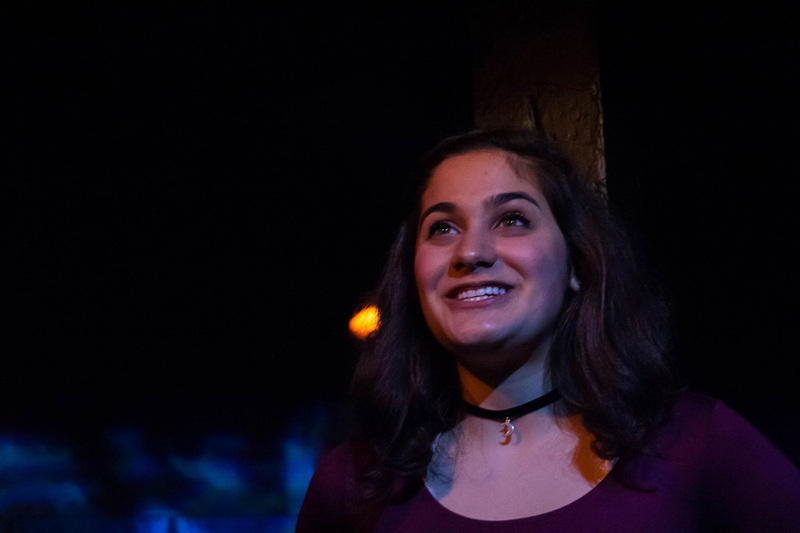 The production stars a female Romeo, features two queer protagonists and incorporates slam poetry written by Northwestern students. Sophia Sinsheimer adapted and directs the production, and said the concept to rework the play came to her in what seemed like an epiphany. The performance also features what Sinsheimer calls “queering the narrative,” a process of reworking a piece to to feature LGBTQ voices. Sinsheimer accomplished this by reworking the story to feature a queer couple instead of the heterosexual typical of the classical narrative. Sinsheimer said she decided to tackle the project from a queer perspective because she thought it could help others figuring out their own identities find solace in the piece. Producer Meredith Mackey, a SESP sophomore, said she was drawn to this adaptation because it made the Shakespearean play more accessible. Helena Scholz-Carlson, who plays Romeo in the production, attested to this idea as well saying the new take on an old story made her step back and take a fresh look at the text. Scholz-Carlson is no stranger to “Romeo and Juliet,” having directed and starred as Juliet in previous productions. In addition to “queering the narrative” to make the play more accessible for students, Sinsheimer said the performance is intended to serve as a place for straight allies and the queer community at NU to come together in light of the violence that has occurred this year. Mackey highlighted after the shooting at Pulse Nightclub in Orlando this summer, a tragic queer love story reflected parts of LGBTQ history. This play is something the queer community needs in order to mourn and celebrate, she said. In addition to engaging with the reality of tragedy, Sinsheimer said she intends for the play to fill a void with art, something she hopes others in the theater community will do more often.